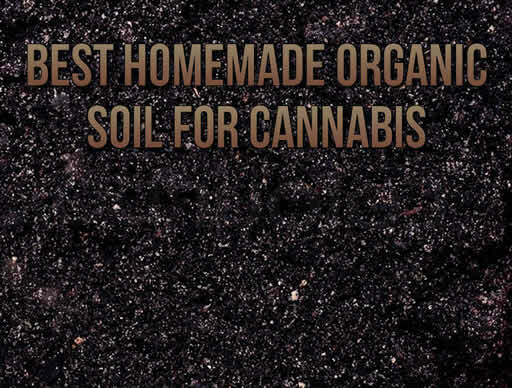 Best homemade organic soil for cannabis. Using the best soil for growing your cannabis crop can be the difference between success and failure. Good soil is essential in your cannabis growing operation. But, the type of soil you use will depend on what type of cannabis crop you want to grow. Whether you grow inside or outside there is a stuff you need to know about the best types of soils for every situation. There are three types of natural outside soils: clay, sandy, and loam. Then there are the combinations of these such as sandy clay, a mix of loamy and sandy soil, and loamy clay, and any other combinations of these. It can get even more confusing when there are different ratios of these. All soils have different advantages and deficiencies. When you need to grow your crop outdoors in the ground, consider digging a 3-foot-wide by 3-foot-deep hole. Fill it with organic soil to ensure you give your plant the best start. This will give your plants good drainage and water retention, as well as the nutrients your cannabis plants need to thrive. The best soils for growing cannabis indoors is the soil and fertilizer you create. These will give you the right balance of nutrients, phosphorous, carbon, and nitrogen. This will ensure you cannabis crop gets the nutrients it requires through each phase of the growing process. Add your homemade fertilizer and you now have the best soil for growing your cannabis plants. They will grow strong, healthy, and full of all that good stuff that is important. 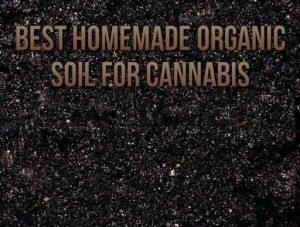 Of course, you can always choose to buy store bought soil, but we believe you’ll have a better grow if you take the time to make the best homemade organic soil for cannabis yourself.